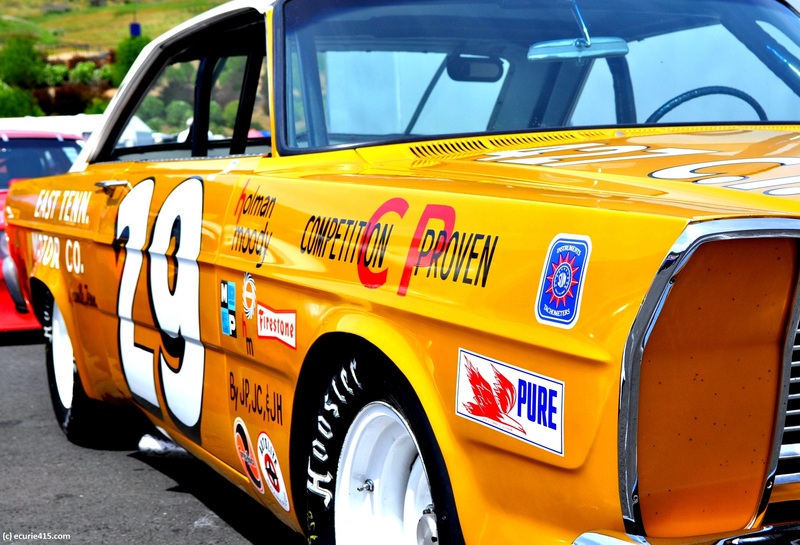 You could be excused for feeling pulled in different directions at this year’s Sonoma Historic Motorsports Festival at Sonoma Raceway. After all, it’s not easy to choose between a Gulf-Porsche 917, a group of staggering McLarens, or a collection of GT cars that spans the history of racing. Add in Trans-Am sedans, IMSA GTs, formula cars and prototypes, and paddock dizziness quickly sets in. In Europe, tourists have been know to suffer exhaustion from the overwhelming number of churches, museums, and points of historical interest that must be seen. Compelled to see all of it, they break down and see none of it. The way to avoid this is to narrow your focus. In those circumstances, I did what any fanatic would do: I went with first loves. Cars that I drove, like the Datsun 240Z and BMW coupe, or simply admired, like the Lancia Stratos and the Porsche 917 (below). If you grew up in love with race cars after 1970, you knew Le Mans, and you loved the 917. Simple as that. This 917 was sold to John Wyer (JW Automotive) in 1970. The car won at Brands Hatch and again at the Monza 1000km, but it didn’t finish at Le Mans. 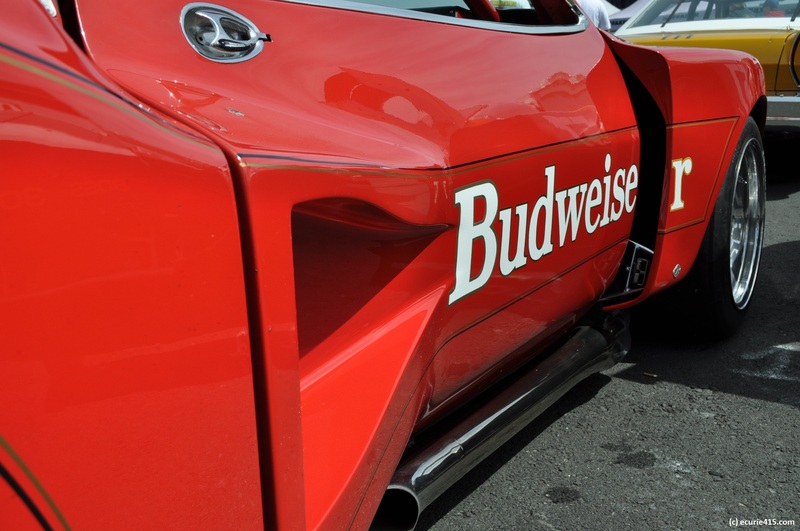 It also won at Watkins Glen later the same year. The car was driven primarily by Pedro Rodriguez, but also by Leo Kinnunen and Richard Atwood. The Lancia Stratos (not officially entered) evoked 1970s European style and Sandro Munari’s talent behind the wheel. 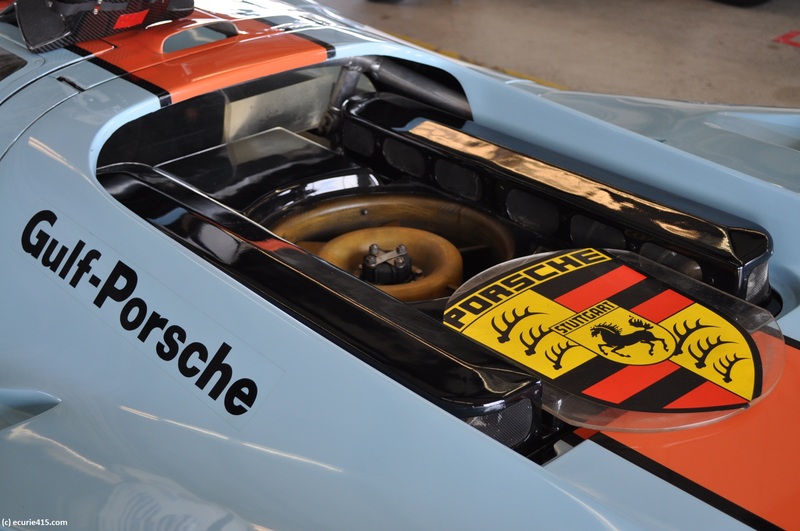 We’ll be featuring this car (and the 917) in separate posts, to give them their due. 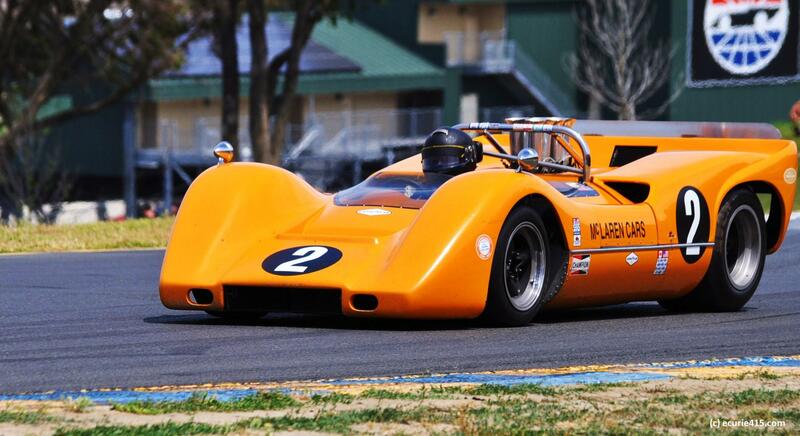 The 1968 McLaren M6B (below) could have raced today. Trumpet exhausts never go out of style, and McLaren’s iconic orange looks as fresh as ever. 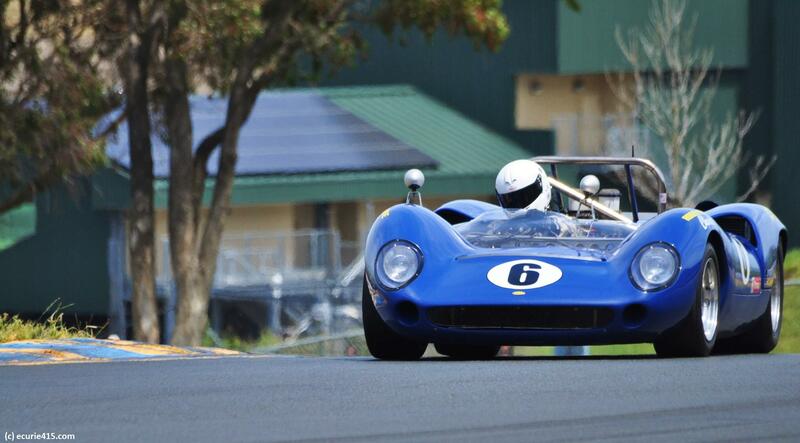 A 1966 Lola T-70 Mk II. Pretty much the sports car to have in those days. 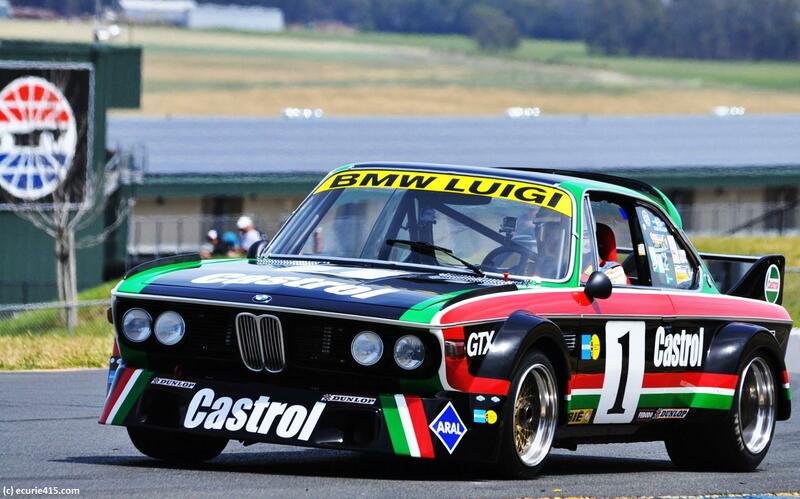 The 1976 Luigi Racing BMW 3.0 CSL (below) was an unusual find. 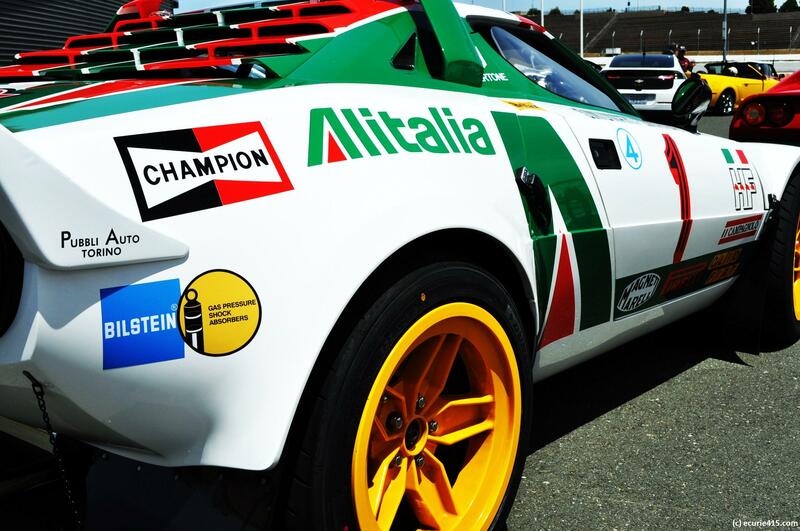 Modestly developed, the car raced Group 2 in Europe for a Belgian team with an Italian owner. The red, white and green Italian accents reflect the car’s heritage. 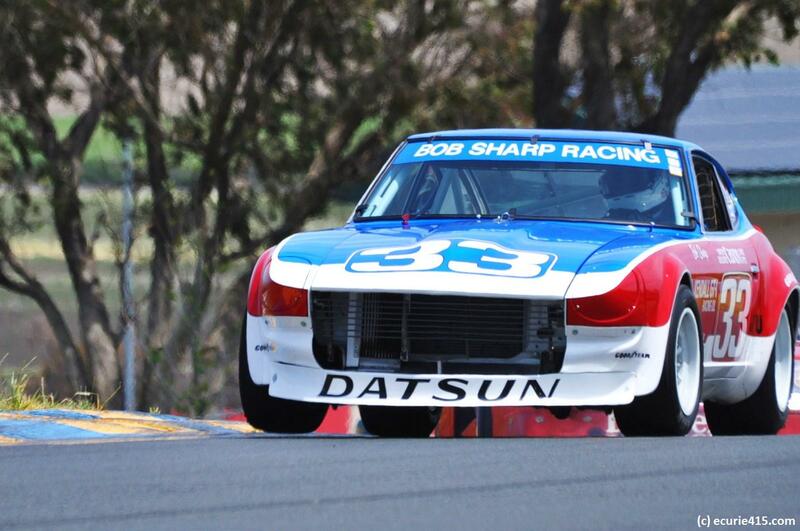 Three-wheeling with a 1970 Datsun 240Z. The 1979 Chevy Monza (below) was an unusual champion. This entry was tagged BMW CSL 3.0, Chevy Monza, Datsun 240Z, Gulf-Porsche 917, Lancia Stratos, Luigi BMW. Bookmark the permalink.